Enjoy morning coffee or evening cocktails on the Stallo Bar Stool from Moe's Home Collection. 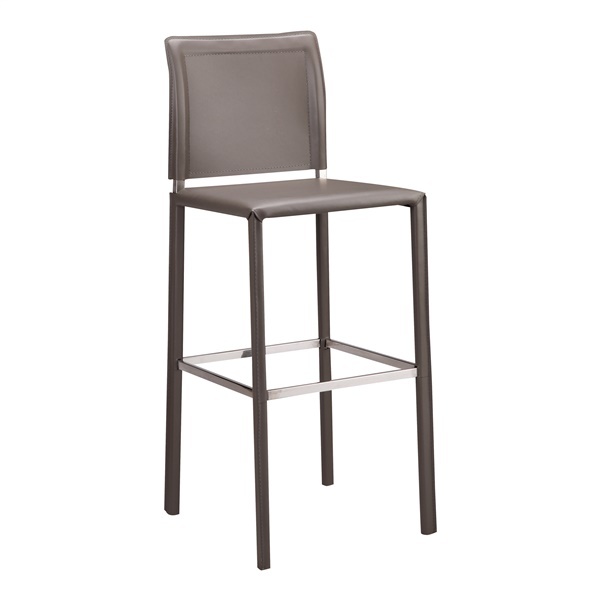 Perfectly suited for both a breakfast bar and a wet bar, the soft bonded leather upholstery on this bar stool provides a smooth, luxe finish. This seat will coordinate well with your modern home decor and a contoured back for all day comfort. As a finishing touch, Moe's Stallo Bar Stool has a stainless steel frame and a polished footrest that provide strength, stability and support.